These are stories that cut deeply, and remain etched into your memory long after the last page. Largely billed as a feminist writer, Tsushima evades any label, her fiction transcends gender to focus on the existential loneliness that is at the heart of humanity. 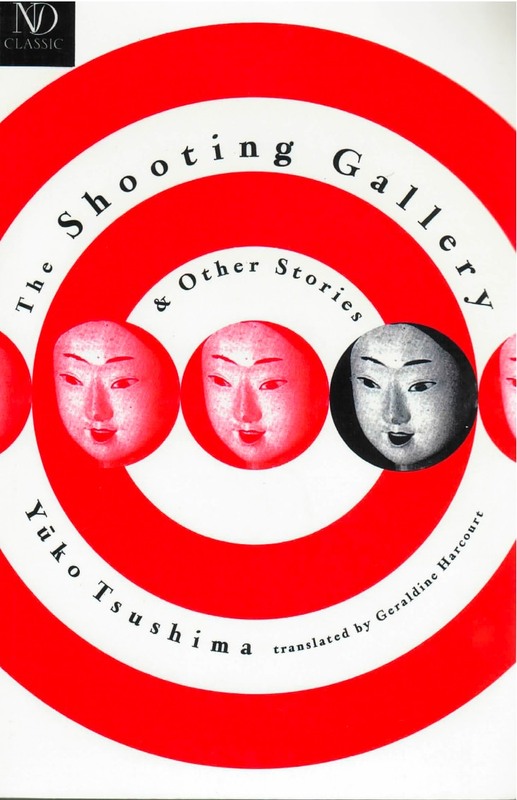 The eight powerful stories of The Shooting Gallery examine the lives of single women coping with motherhood, passion, jealousy, and the tug-of-war between responsibility and entrapment. An unwed mother arranges for her children to meet their father, who is a stranger to them. A woman confronts the “other woman” in her lover’s life. A young single mother on an outing to the seaside comes face to face with how much she resents her own children. Another woman tries desperately to hold on to a private life despite her controlling male relatives. As potent and heady as a dry martini….Tsushima is an archaeologist of the female psyche. [Tsushima’s heroines share a] hopeless, level gaze which sees everything, the ability (in spite of having seen everything) to go ahead, eyes on the road–it takes a very special and very personal talent to so convincingly display this…. [And] here Tsushima has finally found something like perfection in this imperfect world–Geraldine Harcourt’s translations. After the first page, one completely forgets that it is, indeed, a translation one is reading. Tsushima is a subtle, surprising, elegant writer who courageously tells unexpected truths about an unfamiliar, yet recognizable world.